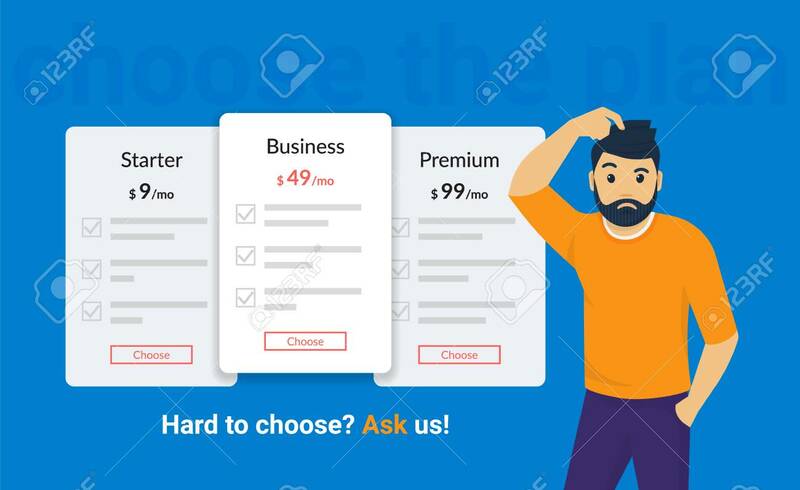 Hard To Choose Subscription Or Payment Plan, Ask Us For Help. Man Standing Near Pricing Panels And Needs A Help. Flat Vector Illustration Of People Who Has Problem Choosing Different Types Of Payment Lizenzfrei Nutzbare Vektorgrafiken, Clip Arts, Illustrationen. Image 102559810.